Information from the National Science Foundation (NSF). It is an exciting, impactful, and important time to be in computer science, not only as a researcher or educator, but also as an expert serving the community – and we want to invite you to consider opportunities for service at the National Science Foundation (NSF). NSF’s Directorate for Computer and Information Science and Engineering (CISE) provides more than 80 percent of the federal funding for academic computer science research in our country. CISE also supports computing education at all levels (from K-12 through graduate education), as well as advanced research cyberinfrastructure for all areas of science and engineering. Should NSF CISE Implement a No-Deadlines Approach? Our friends at the National Science Foundation (NSF) have asked for research community input on a proposed policy change to eliminate/reduce deadlines for core programs in the CISE Directorate. Given the increased pressures on securing federal funding and, in some cases, reduced capacity for grant management at computing research institutions, do you think the Computer & Information Science & Engineering (CISE) Directorate should follow the lead of the BIO and GEO directorates and consider eliminating or reducing deadlines for proposal submissions? What positive or negative impact could such a shift have on our community? Please fill out this informal, non-scientific survey and let us know. We’ll collect responses through May 15th and then share the collective feedback with NSF. Updates on 2018 leadership changes within the National Science Foundation’s (NSF) Directorate for Computer & Information Science & Engineering (CISE). On May 23, 2017, President Trump delivered his Fiscal Year (FY) 2018 Budget Request to Congress. The Request proposes $6.6 billion for NSF (a decrease of 11.1% from the actual FY 2016 NSF budget), including a proposal of $839 million for the Directorate for Computer and Information Science and Engineering (CISE; a decrease of 10.3% from the actual FY 2016 budget). 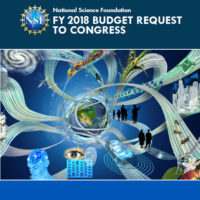 The President’s FY 2018 Budget Request for NSF can be found at <https://www.nsf.gov/about/budget/fy2018/index.jsp>. 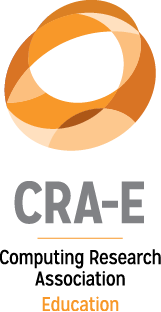 Visa Research has recently joined CRA as one of its Lab and Center Members. 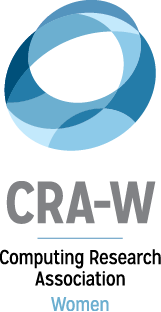 CRA board member Margaret Martonosi has been appointed one of Cornell University’s Andrew D. White Professors-at-Large. The ACM Athena Lecturer Award celebrates women researchers who have made fundamental contributions to computer science. 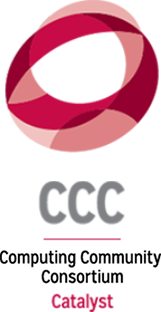 Two CCC Council members have received the award in recent years: Jennifer Rexford of Princeton University (2015) and Katherine Yelick of the Lawrence Berkeley National Laboratory (2013). 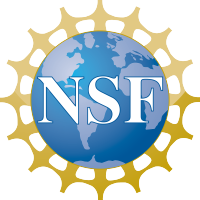 The National Science Foundation is currently accepting nominations for two prestigious awards. The Alan Waterman Award recognizes an outstanding young researcher in any field of science or engineering supported by NSF. The Vannevar Bush Award honors truly exceptional lifelong leaders in science and technology who have made substantial contributions to the welfare of the Nation through public service activities in science, technology, and public policy. Nomination forms are available at: https://www.fastlane.nsf.gov/honawards/. 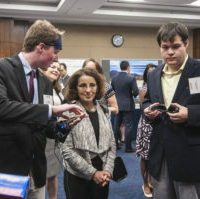 On April 26th, the Coalition for National Science Funding (CNSF), an alliance of over 140 professional organizations, universities, and businesses, held their 22nd Annual Capitol Hill Exhibition. CNSF supports the goal of increasing the federal investment in the National Science Foundation’s research and education programs, and the exhibition itself is a great way to show members of Congress and their staff what research the American people have funded. 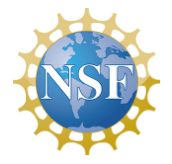 The National Science Foundation’s (NSF) Directorate for Computer and Information Science and Engineering (CISE) makes substantial investments in promoting undergraduate research opportunities. These investments reflect the value that CISE attaches to a well-designed undergraduate research experience; it can be an essential, unifying element of a quality CISE-centric undergraduate program. In this article, CISE describes its approach to undergraduate research experiences, and calls on faculty to further promote a culture of undergraduate research within academic departments to strengthen the impact of current and future CISE investments. With undergraduate enrollment in computing majors growing, up 24.1% from last year as reported in this year’s Taulbee Survey, we as a community have a responsibility to ensure quality research experiences for our students. Quality undergraduate research experiences are essential for students in all STEM disciplines, particularly students pursuing degrees in computer, information, and computational science and engineering. The interdisciplinary nature of computing (and closely related) disciplines has produced a new generation of students seeking blended degree programs that weave together computing and other disciplines through courses and deeper experiential learning. The rapidly evolving nature of computing disciplines coupled with the pervasive nature of computing and the explosion of computational and data-enabled approaches to problem-solving demand unifying research experiences to prepare students for the fullest career opportunities and to address workforce needs that will sustain our field’s leadership well into the future. On February 9, 2016, President Obama delivered his Fiscal Year (FY) 2017 Budget Request to Congress. The Request includes approximately $8 billion for NSF and $995 million for the CISE directorate – an increase of approximately $59 million or 6.3 percent above the FY 2015 Estimate for CISE. The CISE request includes $938 million in discretionary funding, plus $56 million in new mandatory funding. This means that for FY 2017, the Administration will be seeking legislation to provide mandatory funding for NSF on a one-time basis. The purpose of this mandatory funding is to sustain the Administration’s prioritization of research and development (For more information, read the President’s budget message as well as the White House Fact Sheet for the President’s FY 2017 Budget). The Big Data Regional Innovation Hubs (BD Hubs) program continues and scales up the innovation activities initiated by the White House in 2012 with the National Big Data Research and Development Initiative. The overarching vision for the network of BD Hubs is to create an agile and sustainable national Big Data innovation ecosystem that enables the United States to better leverage Big Data technologies and techniques in addressing societal challenges, increasing productivity and spurring economic development, enhancing scientific discovery, and providing for national defense and security. Please use this link to view older issues at our archived site.